Hesperia Chiropractor Dr. Svastits performs nutritional counseling with the benefits of weight management for people that are having difficulty doing it on their own. Weight management issues have reached epidemic proportions in our society today. Cutting calories is important. 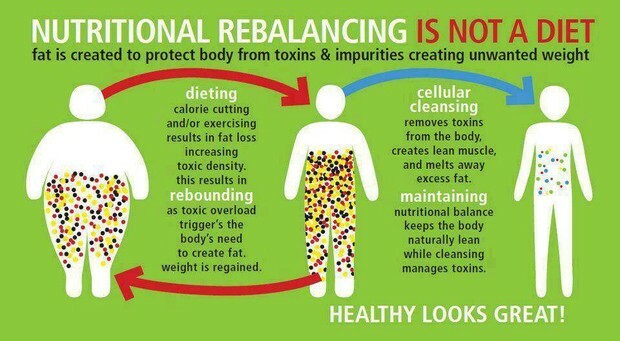 However, without the correct balance of nutrition, your body will not burn the calories for weight loss. Visit www.drsvastits.isagenix.com for more information on the scientific background of a weight management program that is sweeping the nation! Make an appointment with Dr. Svastits to get you on the right track. He will be able to advise you which nutritional and/or weight management program is best for you. Weight gain and obesity are caused by consuming more calories than the body needs – most commonly by eating a diet high in fat and calories, being sedentary or both. However, the imbalance between calories consumed and calories burned can also be caused by a number of different obesity-related factors, including genetic, hormonal, behavioral, environmental and even cultural. It is important to remember that obesity is not always simply a behavioral issue. In fact, endocrine researchers are on the forefront of medical research into the mechanisms of metabolism, appetite and satiety and their connection to obesity. For instance, genetic traits, the way a body expends energy (metabolism), hormones that affect the way calories are processed (hyperthyroidism), and other organ systems in the body can all affect appetite. Eating disorders, metabolic syndrome, behavioral issues and an individual's environment and culture may also affect the development of obesity. For this reason physicians consider many factors when assessing obesity. height. The Body Mass Index (BMI) is a common measurement in evaluating overweight and obesity. Click on compute and your BMI will appear. 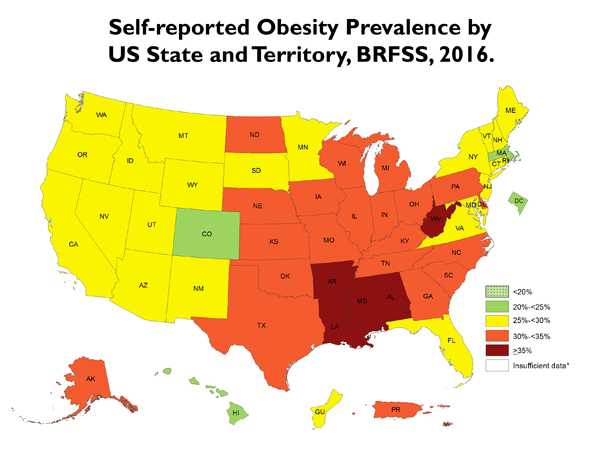 The recent increases in the Self Reported Obesity Prevalence by US State and Territory are reflected across all ages, racial and ethnic groups, and education levels in the U.S.
What is the big deal about leptin? As the obesity epidemic worsens, endocrine researchers understand the urgency to clarify the important role genetic factors play in the development of obesity. Leptin, a hormone secreted by fat cells that was discovered in 1994, was found to not only control food intake, but also to impact other functions that are affected by energy balance which could relate to obesity. High leptin levels trigger growth and readiness for reproduction. Research has shown that overweight individuals have high concentrations of leptin in the blood, indicating that these individuals do not respond to leptin by reducing food intake. Furthermore, endocrine research has found that obese patients respond poorly to leptin, suggesting the presence of leptin resistance.